The siding on your home is what stands between the structure of your home and the wind, rain, snow, and other weather elements that threaten to destroy it. In our previous blog, we discussed three signs that your siding needs to be replaced, and now we’re back with three more. Have you found yourself neglecting the siding on your home? When was the last time you walked the perimeter of your house with a detailed eye? If it’s been a while, why not conduct your own siding inspection? Walk around your house, and keep an eye out for the following signs that your siding needs to be replaced. Siding that is bubbled or blistered can indicate either exposure to extreme heat or that moisture is finding its way inside. Either way, it will be time to replace the affected areas (at the very least). Mildewy or moldy siding is another indicator of moisture infiltration. If this moisture reaches your foundation or the inside of your home, you could face even more expensive repairs. 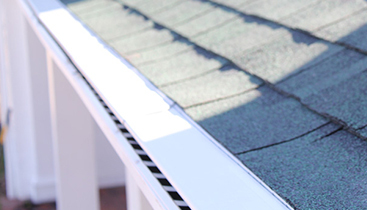 Replace your siding as soon as you notice these damages to avoid these extra costs. 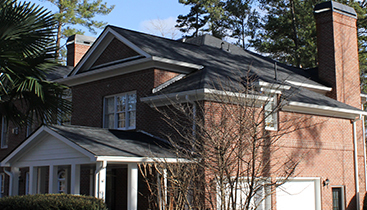 Damage from severe storms is not uncommon here in the Peachtree City area, so be sure to inspect your home’s siding following any sort of strong weather. Hail, for example, can be large enough to dent, chip, or even crack your siding, high winds can send heavy debris to do the same, and heavy rain or snow can encourage moisture permeation. Protect your siding by checking for storm damage on a regular basis. Especially if your siding is made of wood, damage from wildlife or insects can become severe enough to necessitate the need for siding replacement. Look for holes, which can indicate an insect infestation, and identify any other damage from wildlife, such as squirrels, woodpeckers, and other pests. Depending on the damage and type of infestation, you may need to invest in a pest or insect control service prior to installing new siding. 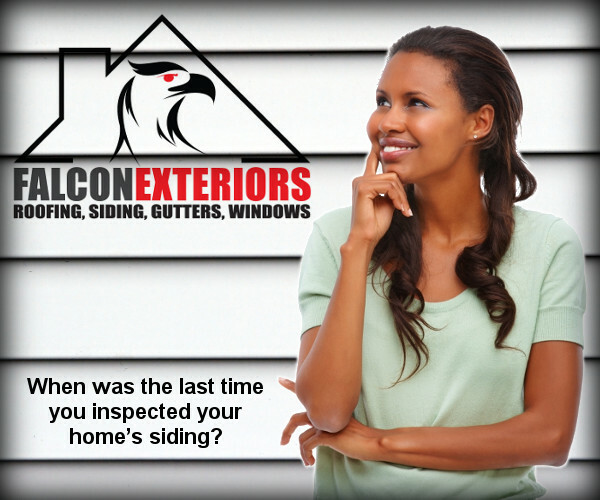 Trust your siding replacement needs to the experts at Falcon Exteriors. 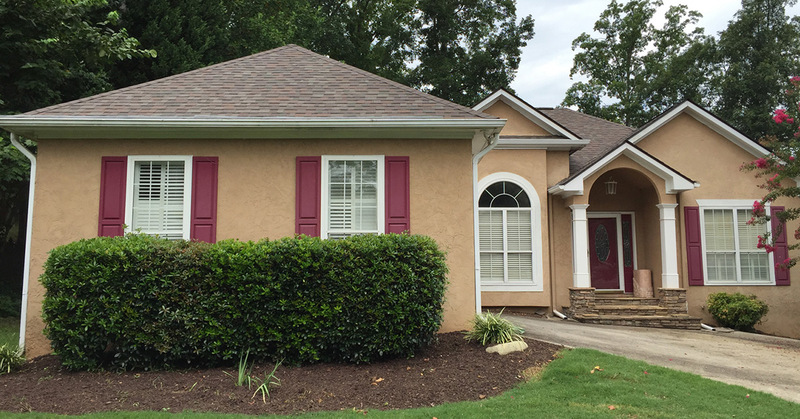 We’ve been taking care of our Peachtree customers and their siding repair, installation, and replacement needs for years. 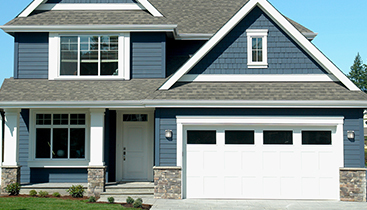 Let us take care of your siding replacement needs, and we can even help you with your insurance claim! Contact us online today for your free cost estimate.